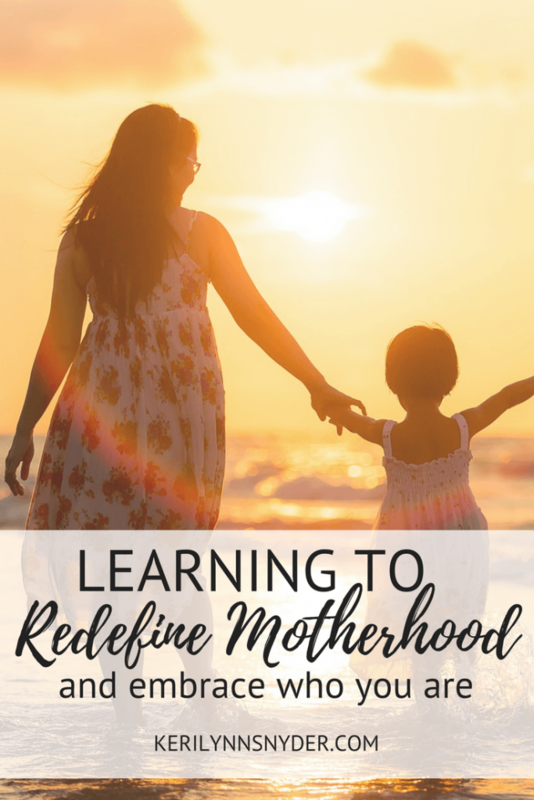 Motherhood is not what I expected and over time I am learning to redefine motherhood. As I prepare for my oldest to turn nine this spring, I look back over the past years and realize how much I have learned. I spent my early years of motherhood trying to blend in with the crowds. Instead of doing what I loved, I would push down my passions. When other moms were complaining and barely surviving, I convinced myself that was part of mom life. There were periods of the early years that I spent trying to coupon, buy all organic food, do tot school, and so many other things. I was trying to fit into this perfect mom mold that I had created in my mind. Somehow, in the midst of my motherhood journey, I had started to think there was only one way to do it all- the perfect mom mold. Often, I became lost in a sea of articles, advice, and comparison trying to figure out what I was doing wrong and how I could do it better. My problem wasn’t in my mothering ability, it was in how I was defining motherhood. Motherhood is not one formula. We are all so different and unique, created in God’s image. Each of us have amazing gifts and talents and these things can be used to benefit our mothering. Since we are all so different, we will all take different paths and make different decisions. But in the end, we all have a common interest. We all love our kids and would do anything for them. My journey may look different from yours. I am going to make different decisions, focus on different things and let go of different things. As I sit and work on what it looks like to redefine motherhood, I realize there is so much freedom in letting go. Instead of trying to be more and working harder, I can just be me. Some of us may work outside the home, some may work in the home, some may nurse, some may use formula, some may home school… the differences go on and on. All of those things do not define motherhood. Motherhood is not defined by whether you work or use cloth diapers. When we redefine motherhood, we see the beauty in having each of us mother in our own unique ways. 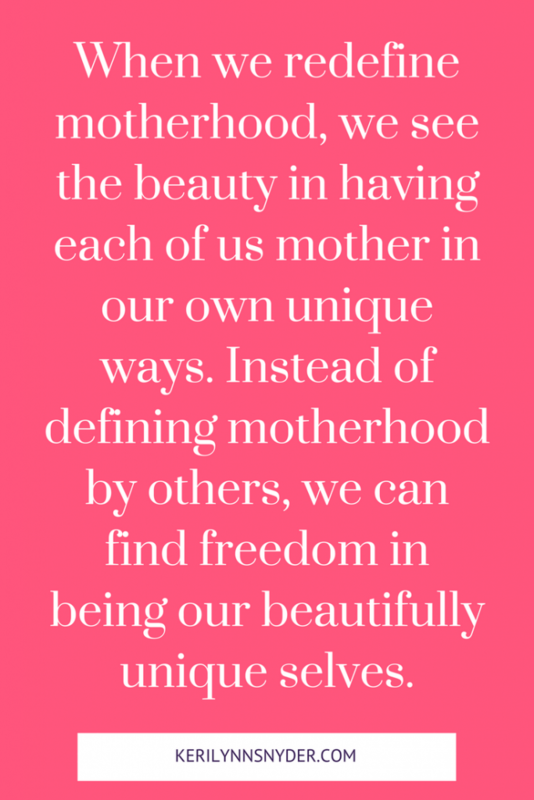 Instead of defining motherhood by others, we can find freedom in being our beautifully unique selves. As you go about your week, I encourage you to let go of anything that is hindering you as a mom. Embrace who you are and be yourself. Your kids need you- yes, you full of all of your imperfections. Throw off the lies, the comparisons and let’s redefine motherhood together.